- Set within a heritage conservation area, the original semi has been kept in-tact with its roof line restored. A 'breezeway' transition space connects the original house and its new split level contemporary addition, allowing light to filter in to what was otherwise a typical, dark and gloomy south facing house. 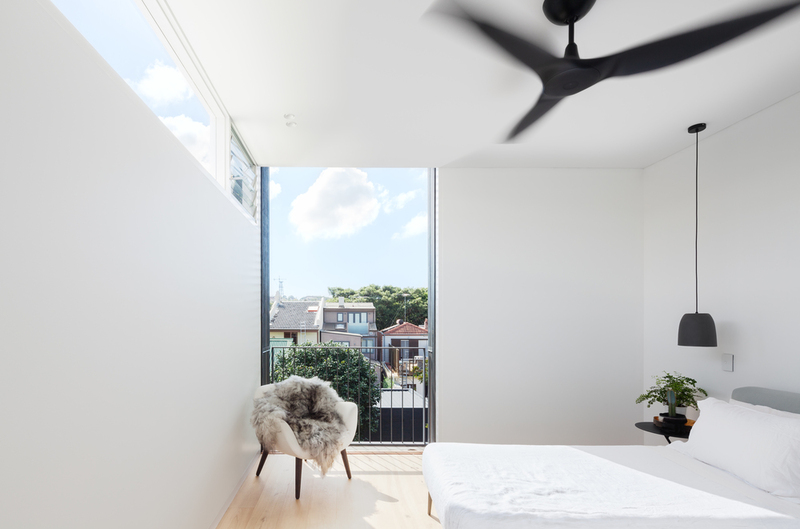 A skylight adjacent to the northern party wall brings sunlight into the lower level addition, whilst north facing highlight windows bring light into the upstairs bedrooms without compromising the privacy of a bedroom in a dense, urban environment. The new party wall uses the bricks from the previous extension so as to minimise waste produced during construction.